Many people choose hypnotherapy because they feel that they have lost control over a behavioural, emotional or physical area of their life and want to change in some way. Our clients come to us with a wide range of issues, limiting beliefs or goals, probably including yours. So if you have the desire and commitment for change, we can work together to help you to let go of anything that limits you or reduces your quality of life. If you decide that Cognitive Hypnotherapy is right for you, choosing the right therapist is a key step in moving you forward. We have done our best to provide you with enough information to help you decide if we are the right people for you, but please take your time looking at our site and maybe look at some others too! I have always had a passion for personal development; and was fortunate enough to work for a blue chip company for over 17 years that allowed me to complete an honours degree in Psychology as a mature student. After finishing my degree I decided that I wanted to combine what I had learned in psychology with my fascination with the mind-body connection that grew from over 10 years experience as a Yoga teacher. It was while trying to find a solution to my own fear of flying that I discovered Cognitive Hypnotherapy and found a way to do that. I know from personal experience how limiting certain beliefs and behaviours can be. I am passionate about what I do because I know that by letting go of those limitations it can have such a positive impact on the quality of your life. I enjoy working with people and tailoring my approach to suit individual needs. I love supporting clients in experiencing great change which I find extremely rewarding. I am also committed to continuing professional development in order to ensure that I am able to offer you the best service. I have assisted on the 2012-2013 Diploma Course, the training programme for the Quest Institute, led by Trevor Silvester. Kim Wilson has trained with the internationally acclaimed Quest Institute whose training programme and qualification process is one of the most thorough in the country. 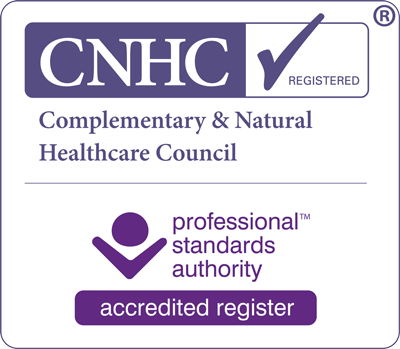 Kim has been awarded a Diploma in Cognitive Hypnotherapy (DipCHyp), certified as an NLP master practitioner (NLP MPrac) and is a member of the National Council for Hypnotherapy MNCH (Reg). She holds a Hypnotherapy Practitioner diploma (HPD) which is the first nationally accredited hypnotherapy qualification, awarded by the NCFE National Awarding Body and are registered with the UK Confederation of Hypnotherapy Organisations (UKCHO). Kim is also the author of ‘The pocket book of stress busters’. 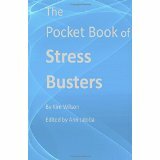 The pocket book of stress busters is full of ideas to help alleviate stress. Whether you work in the therapy field and are looking for additional ways to help your clients or you are just searching for tips for yourself this book has something for everyone. The pocket book of stress busters is full of useful, easy to use tools that will enable you to understand stress and help both you and your clients achieve calm clarity. You are very welcome to call me for a free initial telephone consultation to discuss your particular area of concern.